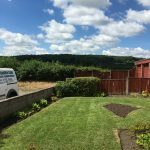 At last it looks like spring is here stumbling its way through the wintery weather and so we are back in the gardens delivering our reliable garden maintenance again through out Stoke-on-Trent and Newcastle Under-Lyme so if you’d like to book a professional friendly gardener don’t hesitate to call or message places will be limited and will go fast as we head towards the busiest time of year so try to get in early to avoid disappointment garden tidies, hedge cutting, and clearances also available. 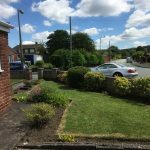 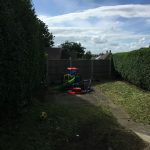 but here are a few garden tidies that were completed last year in Cheadle, Longton and Newcastle Under-Lyme costumers were over the moon with the results and couldn’t wait to say how pleased they were which makes this work all the more enjoyable knowing how much we’ve helped. 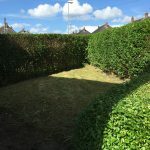 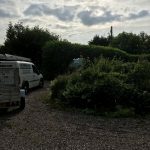 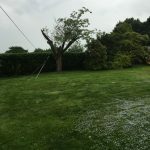 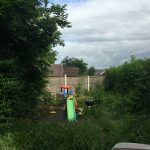 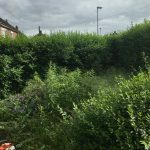 but please be quick as to avoid disappointment, places will be limited as this is the busy period and slots can go fast hedge cutting and garden tidies available too, so please don’t hesitate to give us a call we will be more than happy to help and take care of all your gardening needs. 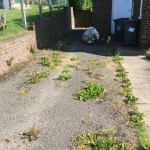 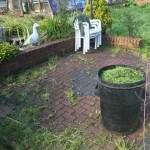 If you’re struggling to maintain your garden we here at S.W. 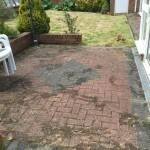 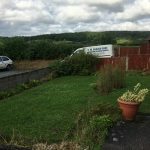 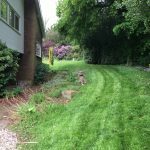 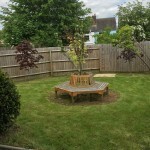 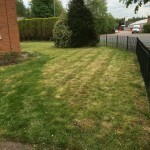 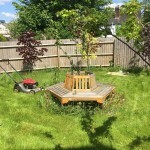 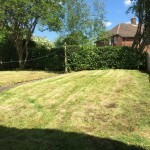 Garden Care provide a fortnightly maintenance throughout the summer and autumn seasons, affordable and always reliable. 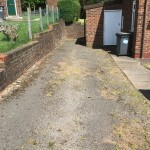 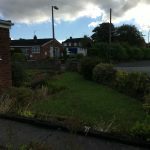 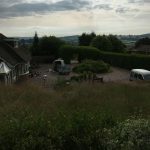 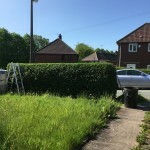 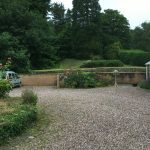 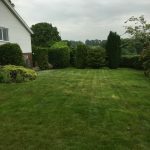 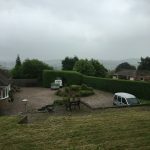 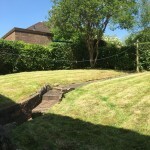 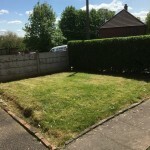 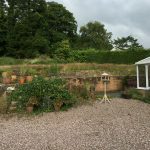 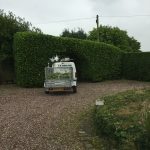 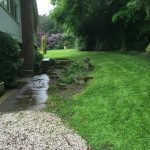 This was a large project in the Draycott area of Staffordshire as you can see the garden had become badly over grown especially the perimeter hedges not to mention the grass but a days hard graft has restored it to something like its former glory, we will now be maintaining it through out the season. 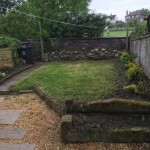 This is a garden tidy from early last week in the Alsager area, the garden had not been touched for a good while as you can see from the picture on the left but with a combination of the right tools and hard work we soon got this garden back in shape, I’m so pleased with the results and extremely happy we could help the lady with a young family, before they couldn’t set foot in the garden for fear of an accident occurring due to not being able to see where they were treading or what they might be treading on but now the weeds are gone the grass has been cut and all the shrubs and hedges have been cut back to reveal a garden to be proud of they can enjoy this garden in perfect comfort. 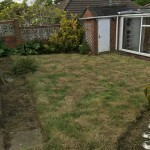 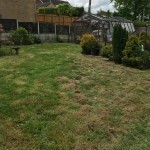 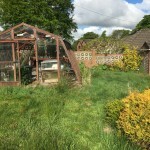 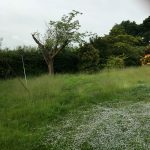 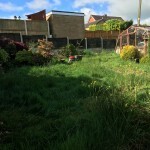 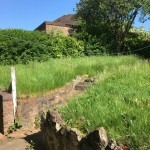 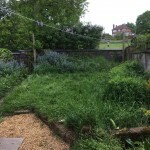 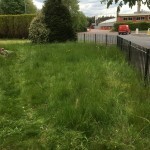 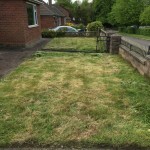 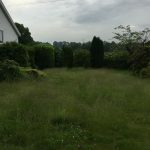 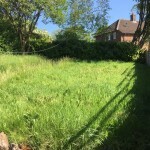 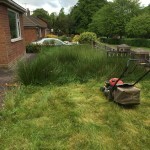 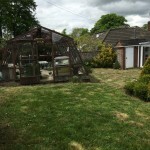 Any grass cut no matter how out of control it is, this is from a garden in Trentham the grass had become unmanageable after a wet spring, so if you look out of your window and the garden looks hard to tackle and daunting don’t hesitate give us a call we can transform any garden no mater how bad you may think it is or maybe you’ve moved into a new property that’s been vacant for a while and the garden has been neglected we’ll be sure to bring it back to life for you.